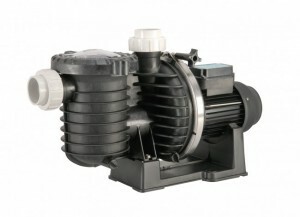 The Max-E-Pro range of pool pumps set the standard. This pump series was designed to make sure your pool setting is all about fun and relaxation – not the equipment that runs it. The heavy duty motor is specifically designed to offer extended life and quiet operation. The pump end is precision moulded from industrial grade materials for corrosion resistance. The impeller is designed for high efficiency providing economical running costs. Performance, quality, designed to last, these are the features you want and the Max-E-pro delivers. The Max-E-Pro is ideally suited to swimming pools, swim spas and pools with in floor cleaning systems.